With all the cyber threats and data breaches, you must take digital security more seriously than ever, especially if you are collaborating with others or managing accounts for others. Start by clicking the Gear icon at upper right of your inbox and select “Manage this domain”. 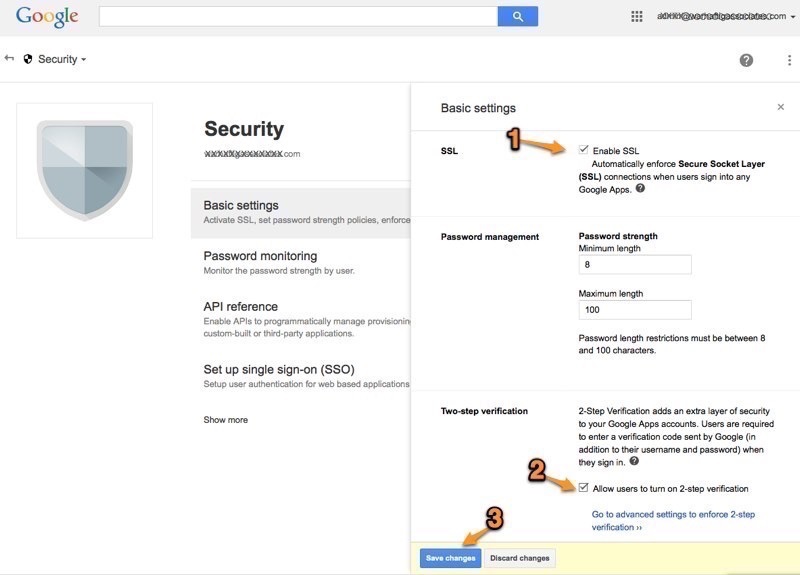 In your Google Account Admin Console, click on Security. 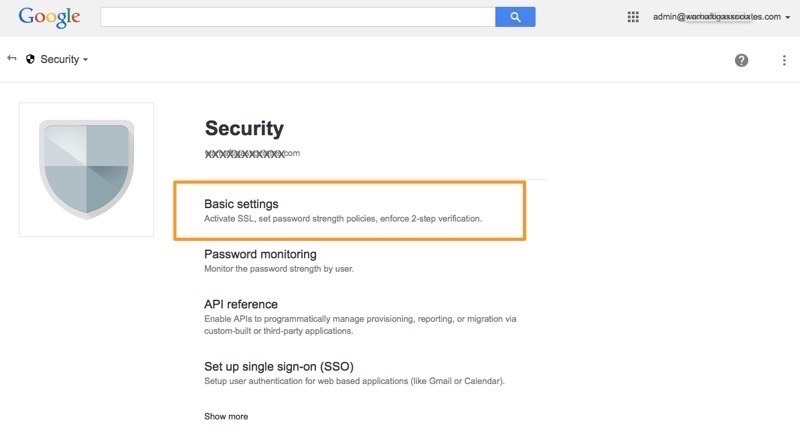 You want to make sure to check “Enable SSL” which helps you to use a secure connection when logging in via the web browser. Then enable “Two-step verification” so you and your other account users can add the extra login security. 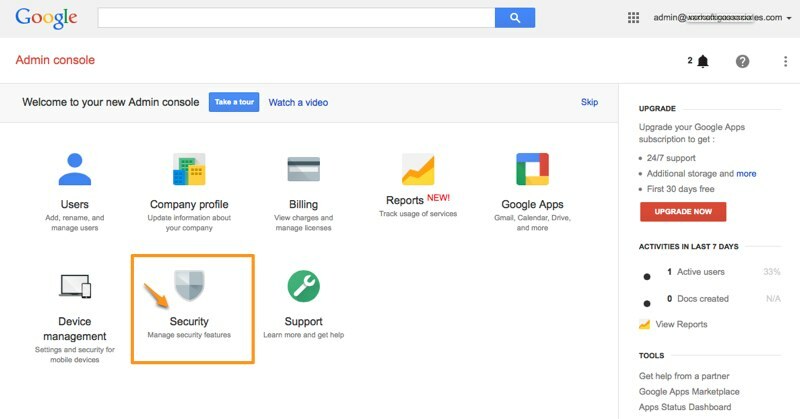 The following is applicable whether you use Google Apps for Business or a standalone Gmail account. While logged into your inbox, click the email address at top right then click “Account”. Click the tab labeled “Security”. 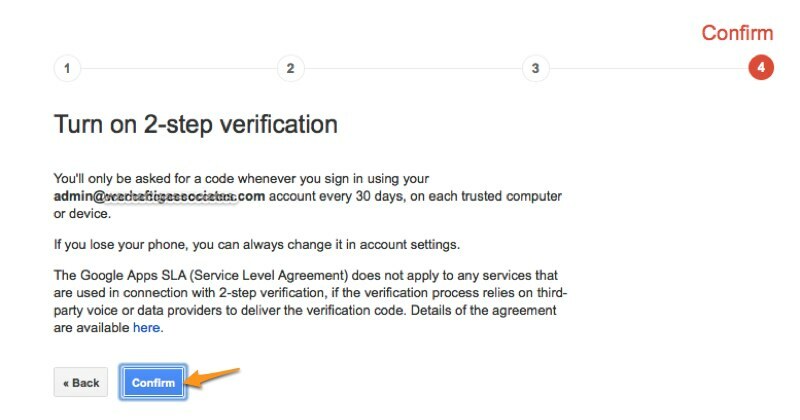 If 2-step verification is Disabled, click the “Setup” link. Click Start setup. You’ll need your cell phone for the remaining steps. Follow the prompts. 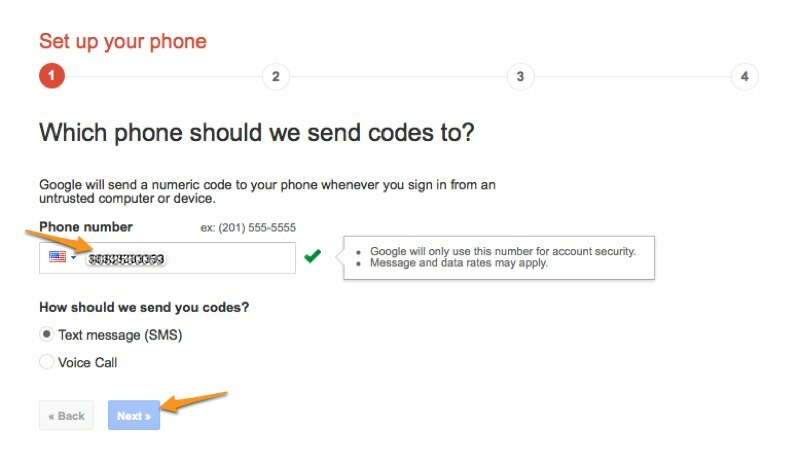 Enter your cell phone number so you can receive a verification code. 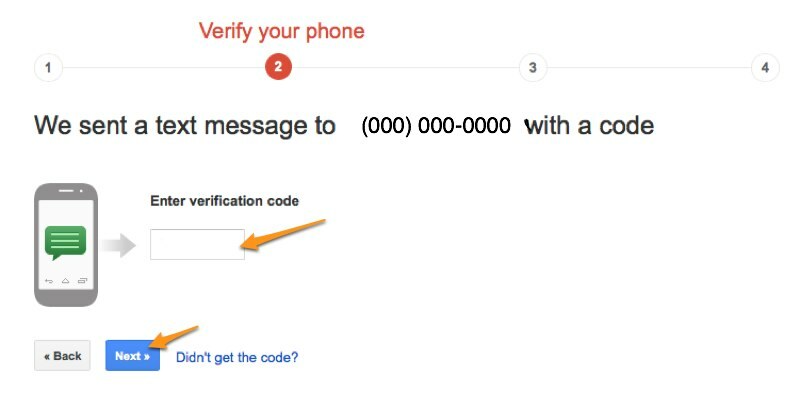 Enter the verification code you received from Google via text message. 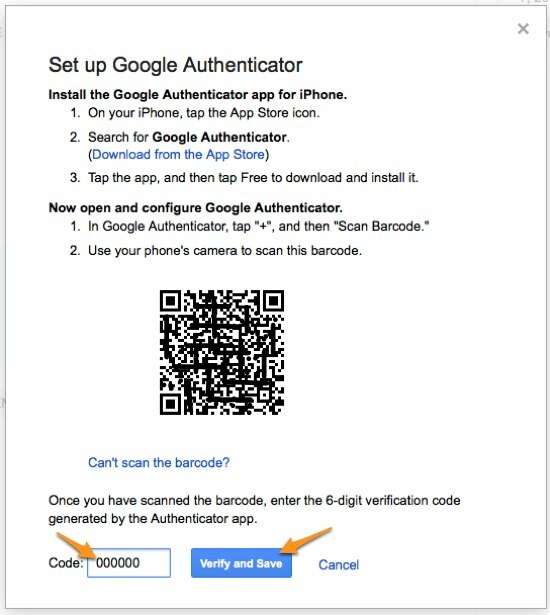 Rather than receiving a verification code via text message sent to your phone, you can use the Google Authenticator app for iPhone or Android. Why? I’ve noticed on my iPhone that the verification text message can be seen without getting past the phone’s screen lock. So that’s a risk in case my phone is lost. Using the app makes it more difficult for someone with physical access to the phone. The app generates a new code every 30 seconds. 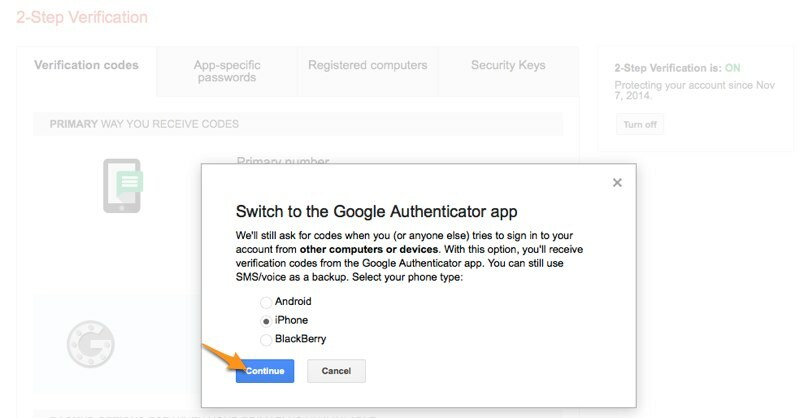 There are other mobile apps and web services that you can use with Google Authenticator. (i.e., Evernote, Dropbox, Facebook, Hootsuite, Salesforce — even Microsoft accounts for Outlook/BingAds/OneDrive.) So it might be more convenient for you to use the app if you manage many Gmail accounts or worry that someone with access to your phone can see text messages. Select which mobile phone platform you use. A QR code is displayed on the web page. 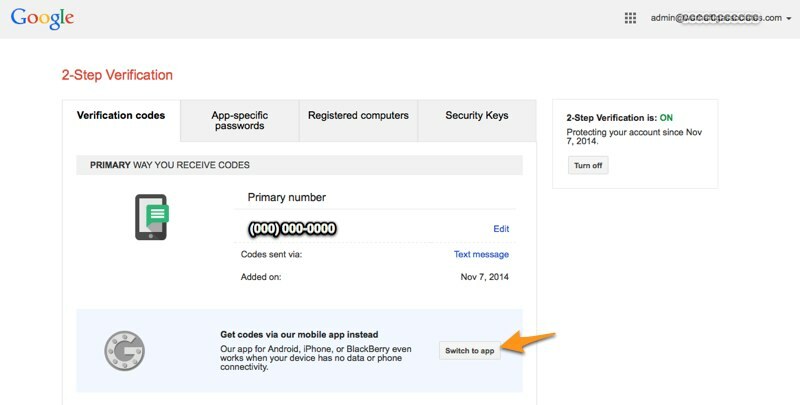 Now you need to download and install the Google Authenticator app on your phone. Follow the instructions on screen to scan the QR code and enter a verification code. 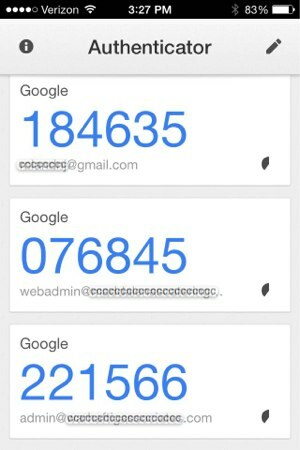 This is what the Google Authenticator screen looks like on your phone. Every 30 seconds a new code is generated for each account that you’ve enabled. If you are successful, you’ll see message like this. One more thing, choose the option to “Print or download” 10 one-time-use backup codes and keep them in a safe place to help you login in case you can’t use your phone.